Will Using Marijuana Before Bed Give You Nightmares? Will Using Marijuana Before Bed Give You Nightmares or Vivid Dreams? Everyone knows marijuana can make you sleepy – but how does it affect you after you fall asleep? Will using Cannabis before bed alter your dreams? And if so, could there be any benefits for people who suffer frequent nightmares due to PTSD (Post-Traumatic Stress Disorder)? Stage 1 – During Stage 1, you are in a light sleep and can be easily roused. Stage 1 only lasts for about five or 10 minutes. Stage 2 – During Stage 2, you begin to shift into a slightly deeper sleep state. Your body temperature decreases and your heart beats a little slower. Stage 3 – You enter a state of deep sleep during Stage 3. Not only will you be difficult to rouse, you’ll also feel groggy and disoriented for a few minutes after being woken. REM Sleep – REM is an acronym for “rapid eye movement,” which characterizes the REM sleep stage. REM sleep, which usually begins around 90 minutes after dozing off, is when the bulk of your dreaming occurs. REM sleep comes and goes in cycles, which become successively longer. The first wave of REM sleep only lasts for about 10 minutes, but the final cycle can be six times that length, persisting for up to an hour. REM sleep accounts for about 50% of the sleep cycle in babies, but is only 20% in adults. How Does Using (or Taking a Break from) Marijuana Affect Your Dreams? Since most (but not all) dreams take place during the REM sleep stage, using Cannabis – which diminishes REM sleep – can also diminish the frequency and intensity of your dreams. Likewise, if you ever decide to take a break from using marijuana, you might notice that the intensity and memorability of your dreams picks back up. According to the U.S. Department of Veterans Affairs, PTSD affects roughly 8 million people any given year. Military veterans suffer disproportionately, with the National Center for PTSD estimating that up to 20% of Iraq and Afghanistan War vets are affected. While often associated with military service for this reason, PTSD can affect anyone who has witnessed or lived through a traumatic event, commonly the survivors of abuse, car accidents, home invasions, and natural disasters. Aren’t safe to mix with various medications. Can have harsh side effects like muscle tremors, memory problems, and difficulty balancing. Can result in fatal overdose when not taken as directed. 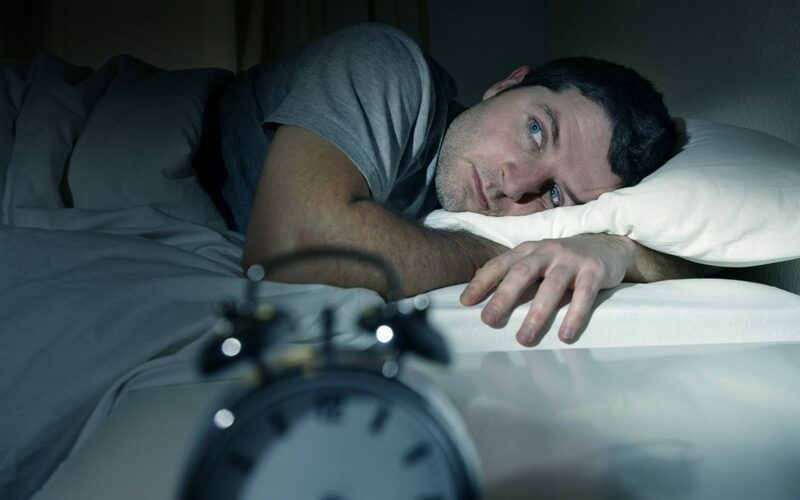 Cannabis may offer the same relief from sleeplessness, but without these significant risks. According to a study published in Frontiers in Behavioral Neuroscience in 2013, “[One study] group reported that 10 outpatients with chronic PTSD that received Δ 9–THC twice a day for three weeks demonstrated a significant improvement in arousal, sleep quality and nightmares.” Of course, you should absolutely never stop a medication cold turkey without consulting your physician; but it may be worth talking to your doctor about Cannabis in addition to your existing treatment regimen. If you or one of your loved ones is suffering from PTSD, insomnia, or another condition that’s affecting your ability to sleep, medical Cannabis may be able to help promote better rest when used in conjunction with conventional treatment. To talk about whether medical marijuana could be right for your condition, call Dr. Tishler at (617) 477-8886 today.